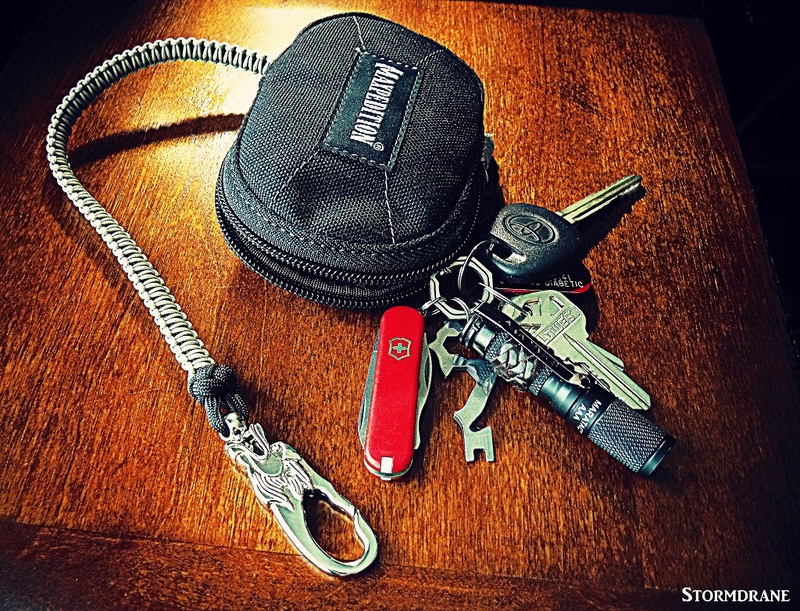 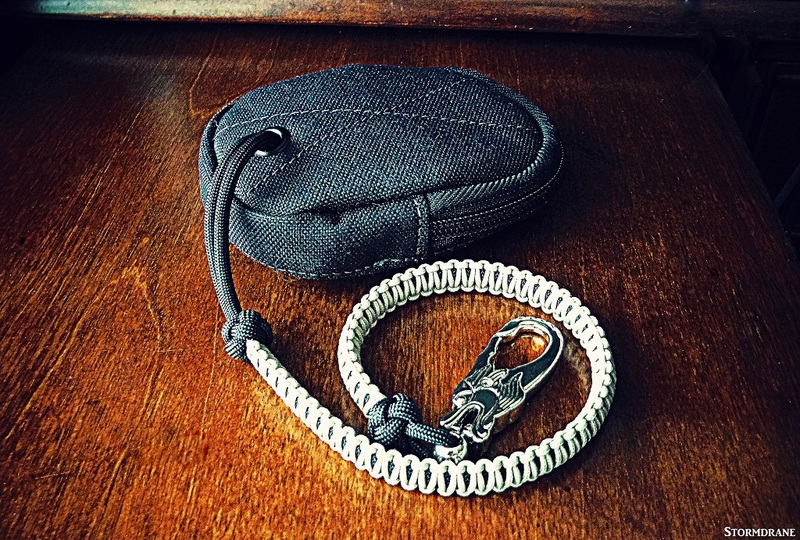 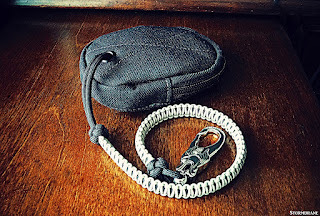 I replaced the zipper pull and paracord attachment/retention loop that came on the Maxpedition pouch that I bought with bday money last month. 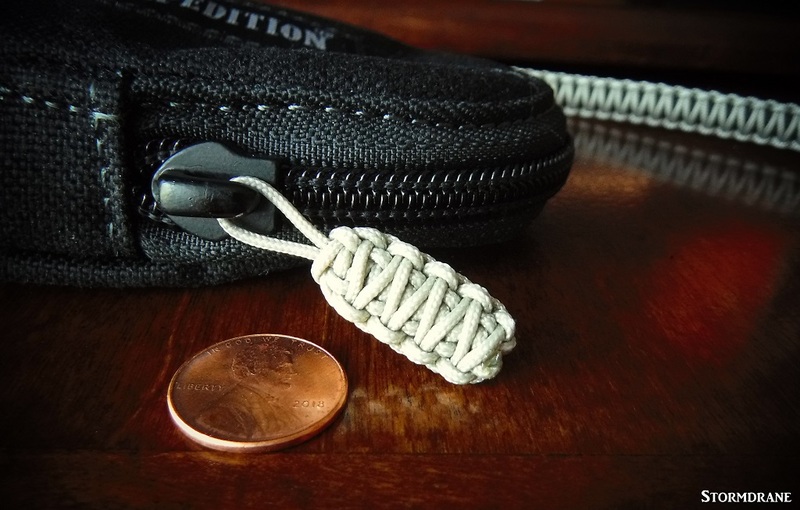 Although the pouch is rectangular in shape compared to the old teardrop version I've used for a few years, they're not much different in what they'll hold. 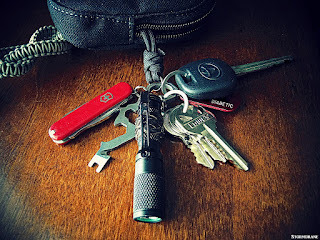 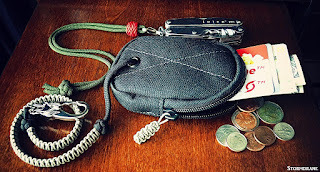 I used 1.4mm cord for the zipper pull, in a doubled Solomon bar/Portuguese sinnet/king cobra stitch pattern, tied directly to the pull on the pouch, and went over the paracord lanyard with knot work between the diamond/lanyard knots, and used a couple of two-strand wall knots for the final length that fits inside the pouch and is attached to the titanium keyring. 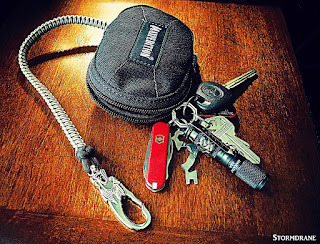 The dragon clip was purchased within the last couple of years, and I'd dropped it into a gadget drawer without having a specific project in mind to use it with.